I have friends who farm an Organic Farm in the coastal village of West Bexington. From their front door you can hear the sea, smell the sea. The farm is amazing, open and really friendly. 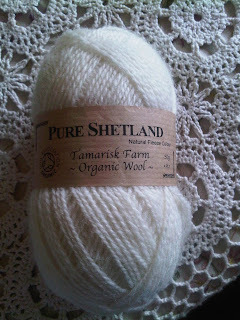 A chance meeting with Ellen ended up in me spending the pay from my second day in the wool shop on a bag full of the most amazingly soft Shetland wool. 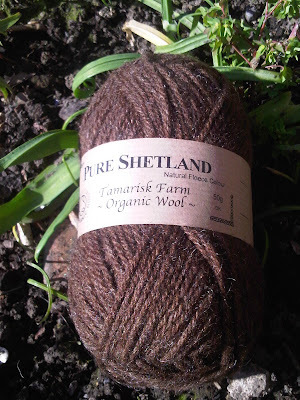 Although I LOVE the wool for sale in the wool shop, with it's wonderful colours, I have to say my personal preference will always be for the more natural colours, earthy shades rather then the vibrant bold colours on offer and featured on some blogs. This I think is what is amazing about people, how we all have such different tastes and preferences. My big sister used to have a love of bright, bold colours but lately, since living in Cornwall she has started to share my tastes. Ellen, Adam and I got talking about wool and how they were planning on selling it. To get your own wool spun is such a commitment, a massive outlay for a small farm but the quality of the spinning and the wool is so worth it. Their web site is in the process of being finished, Ellen knits the most amazing and intricate samples (some babies booties were in process when I called in for a relaxed and much needed cup of tea and home made bread and marmalade after a night shift). I am having a play with the Shetland 4ply and a booties pattern, well, I plan to time how long it will take to make a pair tonight at work if I get the time tonight. 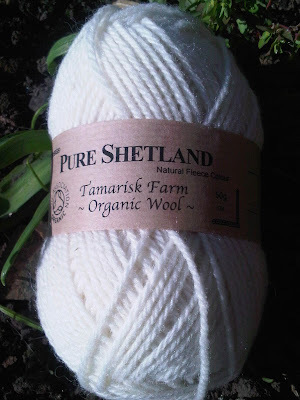 This is 100% pure organic wool, and I think the price is really good, making it 'do-able' if that makes sense. You can either contact Ellen and Adam direct or get it through me. Happy to post it where ever, I will find out the various costs of postage and will be more then happy to combine postage. 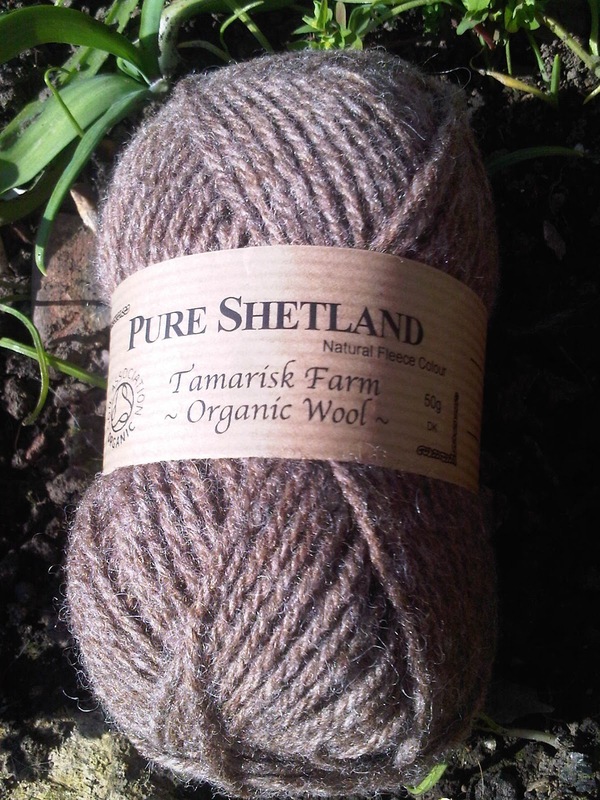 Our knitting yarn has been spun from the fleeces of our four breeds of sheep. All the colours are natural and the yarns were planned to take advantage of the natural beauty of the wool and give lots of possibilities in use. 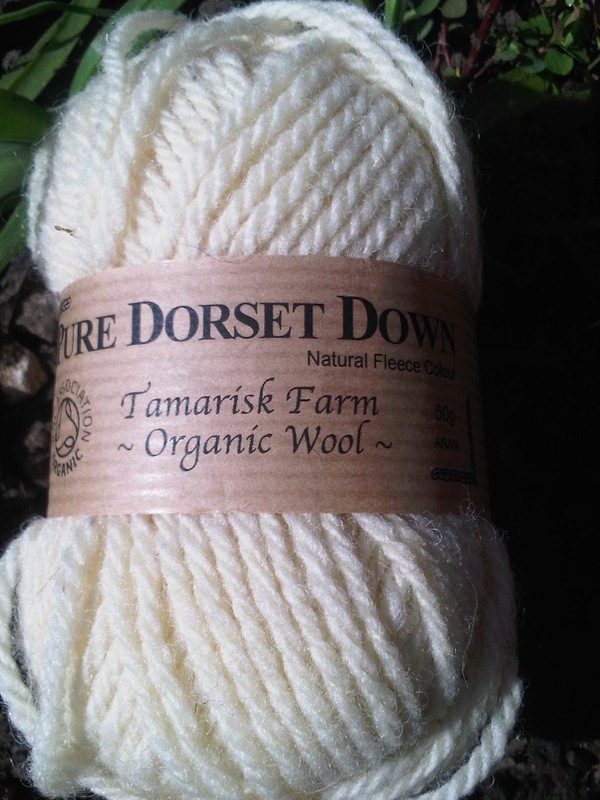 Our main flock are Dorset Downs, which give a rich cream wool. We used this and wool from the chocolate-black Hebridean sheep, to create resilient chunky and aran yarns. The Jacobs, with their smart black and white patched coats have been used to make pretty grey aran and double knitting yarns. The Shetlands have a softer, finer fleece with a longer staple and they come in lots of colours. From them we have moorit (natural rich brown), white and a soft brown from a blend of fawn, cream and moorit fleeces. This and the hebridean black are available in both double knitting and 4-ply to allow people to create lighter, more delicate finished articles. Chunky: 55m, Aran: 70m, DK: 110m, 4ply: 175m. plus postage - happy to combine postage for multiple balls. The wool is spun to organic standards by the Natural Fibre Company in Cornwall, our closest suitable spinning mill. The Shetlands have a softer, finer fleece with a longer staple and they come in lots of colours. From them we have moorit (natural rich brown), white and a soft brown from a blend of fawn, cream and moorit fleeces. 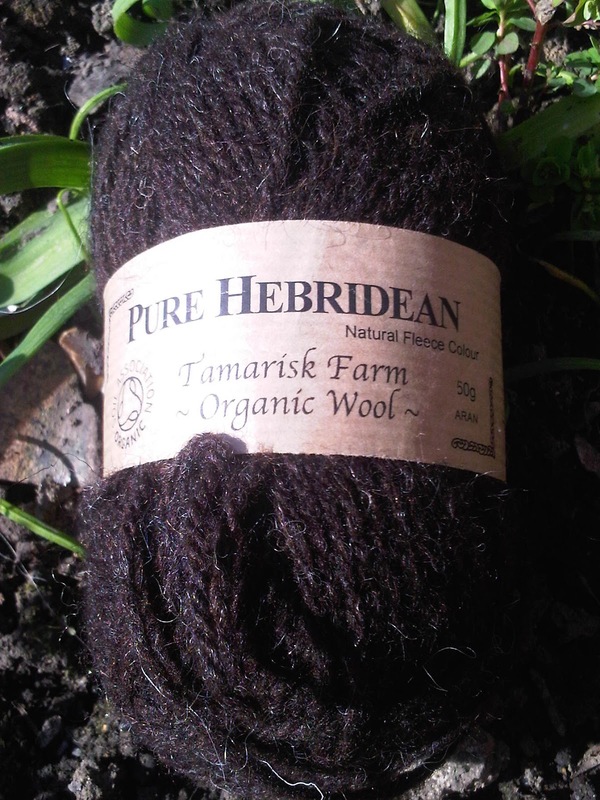 This and the hebridean black are available in both double knitting and 4-ply to allow people to create lighter, more delicate finished articles. Available in 50g balls. Wow this wool is great. I really wish I could knit, I would choose the Pure Hebridean or the Pure Dorset Down wool. I've got a thing for cable knit tank tops at the moment and one would look brilliant in this stuff. I wonder if I could talk my mum into knitting me one?? 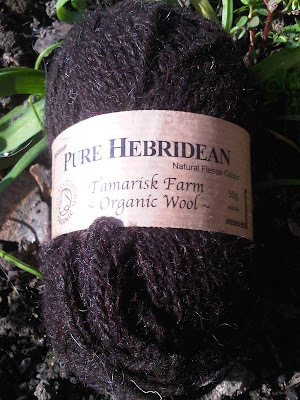 That Shetland and Hebridean wool is beautiful. It would be great for the flower brooches - I like the tweedy look. 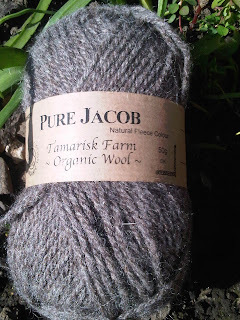 Pure wool is always so much nicer to work with...i guess as much as pure cotton and linens. I hope you are well. I was wondering how you are going with my swap? Any progress? It looks beautiful, and your right such great colours, very earthy!